A Fort McCoy Permit is Required: Anyone interested in hunting, fishing or trapping on Fort McCoy must have a Fort McCoy permit and appropriate State of Wisconsin license, tags, and stamps. Beginning March 11, 2019, all Fort McCoy permits must be purchased through your account through this web site which will require the use of debit or credit card. Fort McCoy permits will no longer be sold through the WDNR GoWild Licensing system. See below for permit information. Installation Access: All recreational users to Fort McCoy will use this iSportsman system. Make sure that you meet the installations access requirements. Fort McCoy is and foremost a military installation. Access is controlled (if accessing Cantonment Area) and is subject to change based on the security needs of the installation. Once registered in the iSportsman system, recreationists, hunters,trappers, and anglers can purchase thier Fort McCoy permit(s), apply for a quota hunt permit, and are required to use the iSportsman system to Check-in/Check-out when participating in an activity and record harvest information upon Check-out. Please see the Regulations tab in the blue menu bar for detailed rules,regulations, and maps. Other than providing basic information, iSportsman does not facilitate or control the installtion access process. Who has to set up an iSportsman account? : If you plan on hunting, trapping, or fishing anywhere on Fort McCoy you will have to have an iSportsman account. If you plan on participating in other non-hunting recreational activities (birdwatching, dogwalking, berry picking, etc.) you have to have an iSportsman account and obtain the current years Access Pass. To set up an account, click on the Register link in above menu. During the registration process, you will be asked for your contact information and you may be required to acknowledge your agreement with some key requirements. Once you have added all the permit(s)/permit application you wish to acquire, select "VIEW CART & CHECK OUT"
Verify the permit(s)/application(s) are correct and "CHECKOUT". Follow all payment prompts (use of credit or debit card). Note: When applying for a quota hunt permit, your permit application will be entered into the drawing after you Confirm your order/checkout. Drawing results will usually take place the week after the application deadline date and drawing results will be posted to your iSportsman account under the Lottery tab. If you were drawn for a quota hunt permit, go to "Acquire Permits", locate your awarded permit and "Add To Cart" and proceed with the process of purchasing your permit. 3. You can now "CHECK-IN/CHECK-OUT"
Select "CHECK-IN" if still logged into your iSportsman account or select Activity Checkin from the main menu bar on the iSportsman homepage. Select the ZONE you wish to recreate in. Make sure you check the Game Line for areas that are OPEN. "CONFIRM CHECK-IN". You are now checked-in for the activity and zone you selected. Make sure to place your Activity Information Card in the passenger side of your vehicle while recreating. 4. When you are finished for the day, or wish to move to another area, you must "CHECK-OUT"
If you were hunting you will be asked "DID YOU CATCH OR COLLECT ANY HARVEST?" If you harvested game, please select "YES". The site will prompt you to select the game you harvested. Other information may be requested for white-tailed deer and turkey. Now you have the option to Check-in to another zone. Permit holders may Check-in/Check-out by either logging into their iSportsman account or calling 866-277-1597. If calling in by phone, one must use their iSportsman permit number and 4-digit PIN number to login. Annual Access Pass: Fort McCoy Annual Access Pass ($0.00) is required for all activities to include hunting, fishing, trapping, and non- hunting/fishing activities. All recreational users need to update their iSportsman account annually by adding the current license year Fort McCoy Access Pass. The Fort McCoy Access Pass is valid from March 1 through February 28 every year. A Fort McCoy Access Pass serves as the permit for non- hunting/fishing recreational activities outlined in Fort McCoy Regulation 420-29 paragraph3-10. You can obtain a pass on this web site by selecting Register (if you do not already have an account) or select Login on the blue menu bar at the top of this page. When you register you will be obtaining your annual access pass at the same time. Weapons Registration: Fort McCoy is requiring that all privately owned firearms brought on to the installation be registered through the Directorate of Emergency Services (DES) Police Department. You must register weapons used for hunting with DES. Conceal and carry of firearms is not allowed on Fort McCoy. Firearms declaration and proof of registration is required while hunting. iSportsman does not facilitate or control the Fort McCoy weapons registration process. Click on Regulations tab in above menu and select Firearm Registration. for additional information and forms. Transportation of Firearms/Bows: While on Federal property all firearms/bows must be unloaded and completely enclosed in a case designed to carry a firearm when in or on any vehicle whether moving or stationary. Weapons are not allowed to be loaded in or on any vehicle at any time with the exception for WDNR disabled class A and B permit hunters while stationary. Bows and crossbows must be unstrung or enclosed within a case when in or on a vehicle. Permit Requirements: The appropriate Fort McCoy hunting, fishing, trapping, permit and appropriate State of Wisconsin license and stamps are required to hunt, fish, or trap on Fort McCoy. Once a Fort McCoy permit is purchased through your Fort McCoy iSportsman account, permits are non-transferable and no refunds will be given, regardless of reason. Revenue from the sale of hunting, fishing, and trapping permits remains on Fort McCoy and is used for the management of fish and wildlife populations and habitat. Click on the Program Info tab in above menu to view additional fishing and hunting information. A Fort McCoy application is not required to purchase these permits. Permits may only be purchased through the Fort McCoy iSportsman system (hunting permits to be available summer 2019). All hunting participants must have registered in the iSportsman system and are required to Check-in/Check-out when hunting. Once you have registered, you will need to Check-in/out daily. You may select Check-in through this website by selecting My Account or Activity Check-in on the blue menu bar at the top of the home page , or by calling the automated phone system 877-277-1597. When checking in with iSportsman, please remember that you must have a valid annual access pass, and that you will not be allowed to Check-in to your activity or zones/lakes which have been closed due to Army training activities. Note: Small Game hunting (including coyote) is not allowed from March 1 – August 31. These permits are obtained through a drawing or lottery process. Permits are only available through the Fort McCoy iSportsman on-line application process. One must submit an online application through their acquired iSportsman account for the specified permit that will go into a random drawing. Start looking for the applications for the fall quota permits to be available in May with a deadline date on July 31st. Drawing will take place one week after the application deadline date. Once the drawing is concluded, and if awarded a Fort McCoy permit, the Fort McCoy permit will be posted to your iSportsman account to be purchased. Click here for online application information and directions. Quota permit applications are available on-line through your Fort McCoy iSportsman user account. 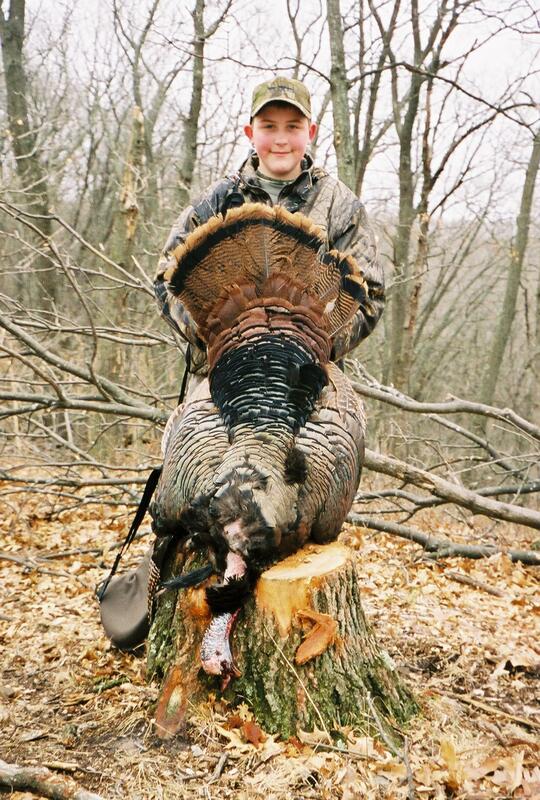 Fall quota hunt applications are usually available in May with a deadline date of July 31st. Selection of recipients is conducted through a random drawing based on your iSportsman Category Status (A, A1, B, or C) the week following the application deadline date. Applicants are notified of the selection results by checking their iSportsman user account and by email if one has email included in their iSportsman account information. If awarded a permit, you may purchase your permit directly through your iSportsman account. (Fort McCoy permits will no longer be available through the WDNR GoWild system starting March 2019). You are still required to purchase your Wisconsin state licenses and stamps in conjunction with your Fort McCoy permits. You will purchase your Fort McCoy permit(s) through the iSportsman system and your state license(s) through the Wisconsin DNR GoWild system https://gowild.wi.gov/. Soldiers stationed at Fort McCoy after the quota permit drawing is completed are eligible to apply for a quota permit (i.e., Gun-Deer, Deer-Disabled, Cantonment Archery, Spring Turkey, and Trapping). A copy of the PCS orders showing the date of assignment after the application period must accompany the application. Contact the Permit Sales Office at 608-388-3337 for more information. Once awarded a Fort McCoy permit, click Add to Cart (Check-out and Confirm order) the awarded Fort McCoy permit will post to your iSportsman account. This will also allow you to Check-in and Check-out of your activity during the season. Wisconsin Armed Forces Hunting Privileges: Wisconsin law extends many privileges for hunting, fishing and trapping to active members of the U.S. Armed Forces, Wisconsin National Guard or Reserves for both residents and nonresidents. Different sections of Wisconsin statutes authorize these privileges, each with their own qualifications. Go to https://dnr.wi.gov/permits/military.html for more information or call 1-888-936-7463. Any resident in active service with the Armed Forces, who presents their military I.D. and leave papers is eligible for a free Small Game & Fishing License. All other hunting, trapping or fishing licenses can be purchased at resident rates. Active service, means full time employment as a member of the armed services and does not include annual summer training by members of the national guard or reserves. Any resident Purple Heart recipient who exhibits proof at a DNR Service Center of having received a Purple Heart medal is eligible to purchase a Conservation Patron license for $10. More details including acceptable documentation available on Veteran's page. Any nonresident Purple Heart recipient who exhibits proof at a DNR Service Center of having received a Purple Heart medal is eligible to purchase a nonresident Conservation Patron license for $161 and other hunting, trapping, and fishing approvals at resident rates. More details, including acceptable documentation available on the Veteran's page. Activity/Information Card: All individuals are required to display an information card on the passenger side of the windshield/dash with the following information:Permit holder's full name (if there is more than one permit holder per vehicle, the names of all permit holders will be noted), activity (e.g., archery, gun-deer, small-game, turkey, scouting, berry picking, bird watching, etc. ), personal cell phone number and two emergency contact phone numbers for each permit holder in the vehicle. Click here for activity/information card template.